Many online slots are developed on fictional stories and characters that become almost real for us because of their grasping nature. 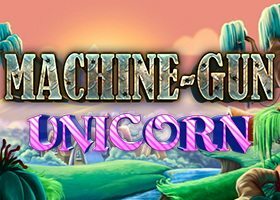 Machine Gun Unicorn is one such slot that introduces an unforgettable story of a unicorn that fights zombies with his destructive machine gun. This may sound uncanny, but Genesis Gaming have gone a different way this time to make this an enjoyable game. All the zombies are set to invade Ponyland and the innocent unicorn inhabitants are scared. Will the protagonist be able to save the Ponyland from zombies? Find out for yourself! Genesis Gaming had launched Machine Gun Unicorn on September, 2015. 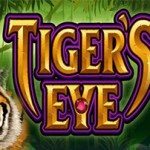 Only this company can turn an off-beat and entertaining story into a real online slot game. Every aspect and every feature of this game is relevant to the story. 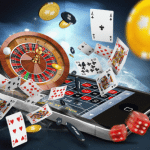 Genesis Gaming takes care of players’ choices and it comprises innovative features in its products. That’s why Genesis Gaming is one of the best online gaming companies in the world. Machine Gun Unicorn looks quite eye-catching with 5 reels and 10-fixed paylines. The developers have paid good attention to visuals because the Ponyland in the background looks dreamy and beautiful. Colorful unicorns land at all five reels and zombies also attack them on all five reels. The wild symbol (Golden Unicorn with a machine gun on his head) lands only on third reel to terminate all the zombie heads in jars. 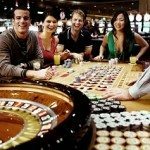 Players can start betting at 10p and increase the bet size up to £250. The house edge is 2.81% and slot volatility is medium. 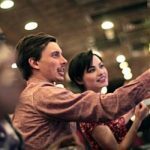 All ten paylines function from both sides of the reels and thus your winning opportunities increase that way. Genesis Gaming has not included free spin features or other extras in Machine Gun Unicorn, but the Symbol Bombs feature is enough to hit some big wins. Get the Golden Unicorn, which is the wild symbol, on the middle reel along with zombies on remaining four reels. The Golden Unicorn will use his destructive weapon to blast zombies. 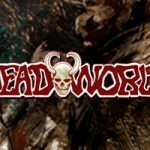 Killing of each zombie will reward you an impressive cash prize. Thus, you can add a lot of credit in your gaming account. You may feel that something is missing in Machine Gun Unicorn online slot because it doesn’t feature any special bonus game, but amazing 97.19% RTP rate forces you to play this game for frequent wins.